Tent Rentals in Miami are great for any outdoor event. Miami Party Rental has been in providing rentals for over 35 years and has a wide collection of all sized tents for all your party needs. We know that like many of our past customers you too will be happy with our services and our prices. All our tents look great and will create shade for your guests! From small tents to huge tent structures, Miami Party Rental will always have the best prices in the industry. We have the best Tent Rentals in Miami! 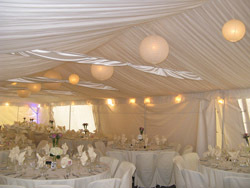 Tent Liner Rentals in Miami can transform any regualr tent into a very elegant affair. If your having a wedding, special corporate event, or fundraiser, a tent liner will impress all your guests! 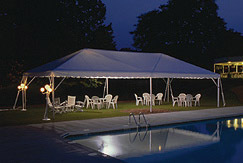 Call a Miami Party Rental representative and ask him about our specials on Tent Liners. We always provide great service, on time delivery, and the best prices in South Florida for over 35 years! Come and find out what our clients already know... Miami party rental has the best Tent Liner Rentals in Miami! High Peak Tent Rentals in Miami look great at any outdoor event. Call a Miami Party Rental representative and ask him about our specials on High Peak Tents. We guarantee great service, on time delivery, and the best prices South Florida has seen since 1975! Come and find out what our clients already know... Miami has the best High Peak Tent Rentals in Miami! 10 X 10 $100.00 Ea. 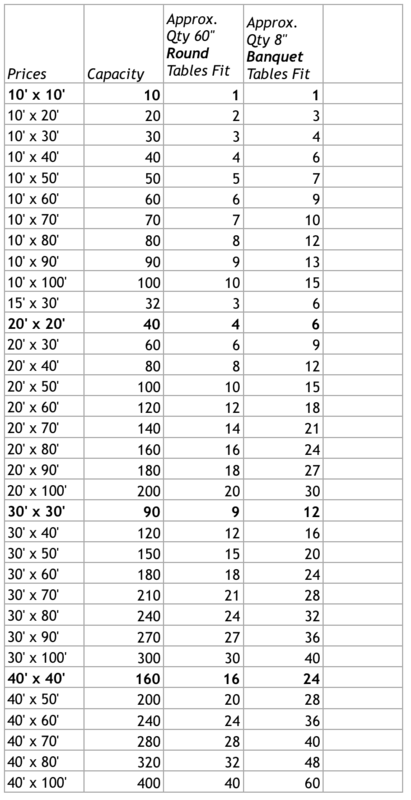 20 X 20 $250.00 Ea. 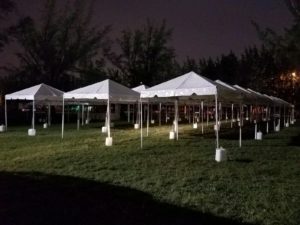 Clear Frame Tent Rentals in Miami look great at any outdoor night event. You'll be able to see the moon and the clear night skys sitting right under it. In addition, anyone outside the tent will be able to see the lights shining from within. This is one of the nicest tent setups you can do for a night time wedding extravaganza! 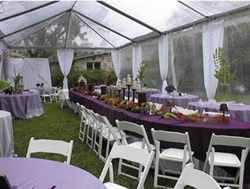 Call a Miami Party Rental representative and ask him about our specials on Clear Frame Tents. We guarantee great service, on time delivery, and the best prices South Florida has seen since 1975! Come and find out what our clients already know... Miami has the best Clear Frame Tent Rentals in Miami! Clear Span Tent Rentals in Miami look great at any outdoor night event. This is one of the best tent setups you can do for a wedding extravaganza! Call a Miami Party Rental representative and ask him about our specials on Clear Span Tents. We guarantee great service, on time delivery, and the best prices South Florida has seen since 1975! Come and find out what our clients already know... Miami has the best Clear Span Tent Rentals in Miami! 33 foot wide tents serving Miami, Fort-Lauderdale, West-Palm Beach and all of Florida. 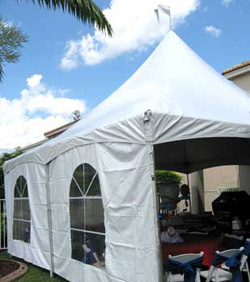 White Frame Tent Rentals in Miami are the most popular in town! 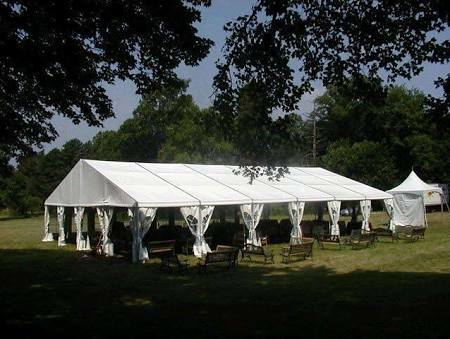 we carry a huge inventory of white frame tents in stock for all your party needs. 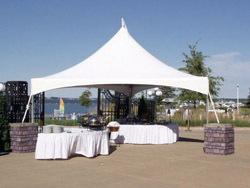 Call a Miami Party Rental representative and ask him about our specials on White Frame Tents. We guarantee great service, on time delivery, and the best prices South Florida has seen since 1975! Come and find out what our clients already know... Miami has the best and cleanest White Frame Tent Rentals in Miami! Tent Sidewall Rentals in Miami are usually used to cover the whole tent in order to trap in air from an air conditioning unit or to keep the bugs away from inside the tent. Call a Cache Party Rental representative and ask them about our specials on Tent Sidewalls. We guarantee great service, on time delivery, and the best prices South Florida has seen since 1975! Come and find out what our clients already know... Miami has the best and cleanest Tent Sidewall Rentals in Miami!